My name is Viktor Meyer. I was born in Russia in 1974 and moved to Fürth, Germany in 1995. Drawing, to me, has always been a passion of mine since childhood; when I decided to tattoo in 2003, I bought my first machine and started. At the beginning, I was taken under my good friend Miro Thomas’ wings, he answered all my questions so I can look over his shoulders. At first I tattooed almost everything, I wanted to try different styles, then soon I tied myself to realistic tattoos. I prefer to do black-and-grey tattoos, which I think last longer and my clients can enjoy the tattoos longer. 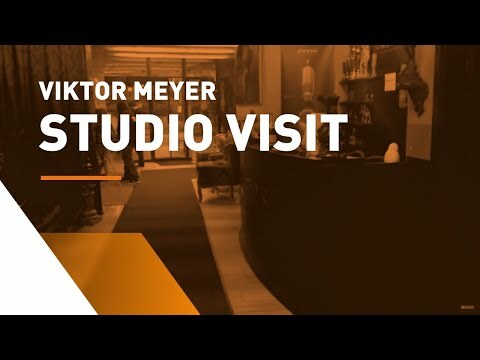 There are a lot of young, motivated tattoo artists working in my studio, Viktor Tattoo in Fürth, and they all work with Cheyenne; we also often have guest artists, especially from Russia. Our group of tattoo artists often visit conventions in Moscow, Frankfurt and Zwickau. I was in the very first Cheyenne row and Konrad handed me my first HAWK. I tried every single Cheyenne machine since then, the HAWK Spirit to the HAWK Thunder, the HAWK PEN and of course the new SOL Nova. Now my favorite machine to work with is the Cheyenne HAWK PEN. It is a matter of habits to me. I can work with whatever comes into my mind with the machine and Safety Cartridges.